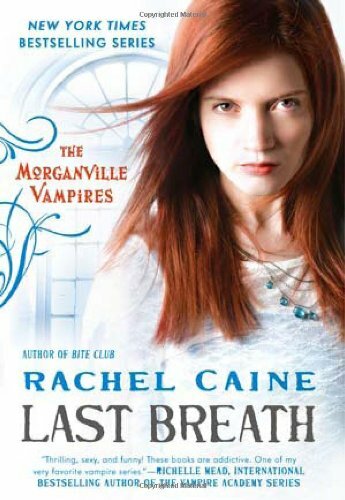 After 10 books, you’d think that a series would be standing on its last leg, scrambling to find something else to shock and entertain readers, but not Morganville Vampires! Last Breath, the 11th book in the series, is just as amazing as the very first book, if not better. Rachel Caine does something different in Last Breath; she gives first perspective voices to characters other than Claire. Shane, Michael, Amelie, and Eve each have a section which proved to be a very interesting look inside what these characters are feeling after eleven books with them especially Amelie since she’s such a closed off character. There’s so much I can give away because, as always, so much happens in these books! There’s some shocking twists along the way, new characters, and an enthralling new layer to the history of the Morganville vampires. Let’s just say, Rachel Caine can really write a story. If you haven’t read this series yet, I highly recommend them. They’re thrilling, funny, and heart-warming. And definitely not your average vampire story. And if you love this series, then Last Breath is a can’t-miss! 5 stars.